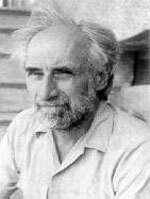 Born in Westfield, Massachusetts in 1938, Frederic Rzewski studied music at first with Charles Mackey of Springfield, and subsequently with Walter Piston, Roger Sessions and Milton Babbitt at Harvard and Princeton universities. He went to Italy in I960, where he studied with Luigi Dallapiccola and met Severino Gazzelloni, with whom he performed in a number of concerts, thus beginning a career as a performer of new piano music. In Rome in 1966, together with Alvin Curran and Richard Teitelbaum, he formed the MEV (Musica Elettronica Viva) group, which quickly became known for its pioneering work in live electronics and improvisation. Bringing together both classical and jazz, avant-gardists (like Steve Lacy and Anthony Braxton), MEV developed an aesthetic of music as a spontaneous collective process, an aesthetic which was shared with other experimental groups of the same period (e.g. the Living Theatre and the Scratch Orchestra). The experience of MEV can be felt in Rzewski’s compositions of the late sixties and early seventies, which combine elements derived equally from the worlds of written and improvised music (Les Moutons de Panurge, Coming Together). During the seventies he experimented further with forms in which style and language are treated as structural elements, the best-known work of this period is The People United Will Never Be Defeated!, a fifty-minute set of piano variations. A number of pieces for larger ensembles written between 1979 and 1981 shows a return to experimental and graphic notation (Le Silence des Espaces Infinis, The Price of Oil), while much of the work of the eighties explores new ways of using twelve-tone technique (Antigone-Legend, The Persians). A freer, more spontaneous approach to writing can be found in more recent work (Whangdoodles, Sonata). Since 1977 Rzewski has been Professor of Composition at the Conservatoire Royal de Musique in Liège, Belgium. He has also taught at the Yale School of Music, the University of Cincinnati, the State University of New York in Buffalo, the California Institute of the Arts, the University of California in San Diego, Mills College, the Royal Conservatory of the Hague, the Hochschule der Kunst in Berlin and the Hochschule für Musik in Karlsruhe.